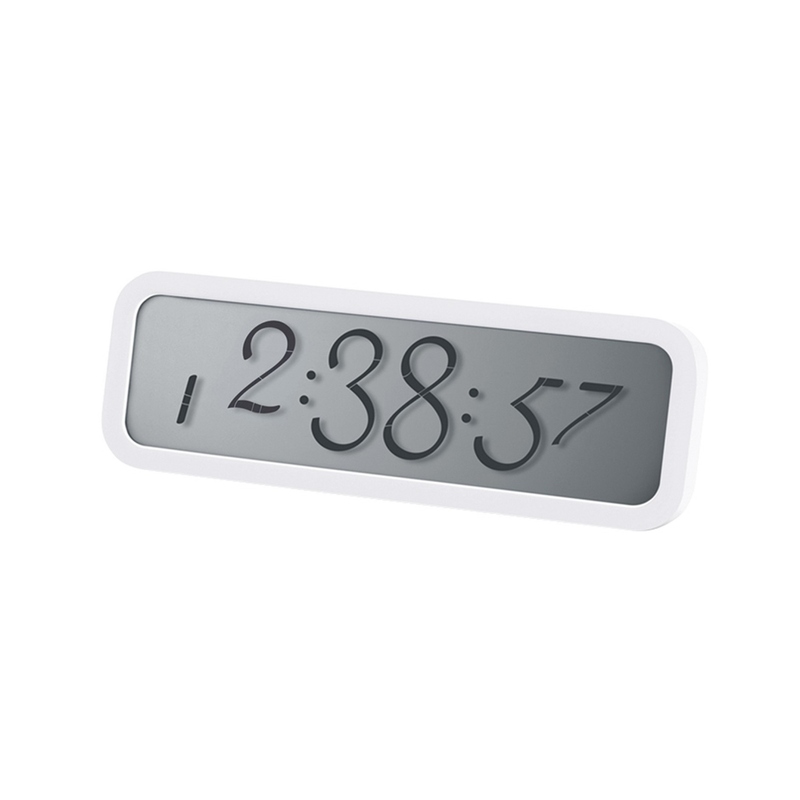 Script table clock (Small) is also an alarm clock and offers a new way of displaying time. 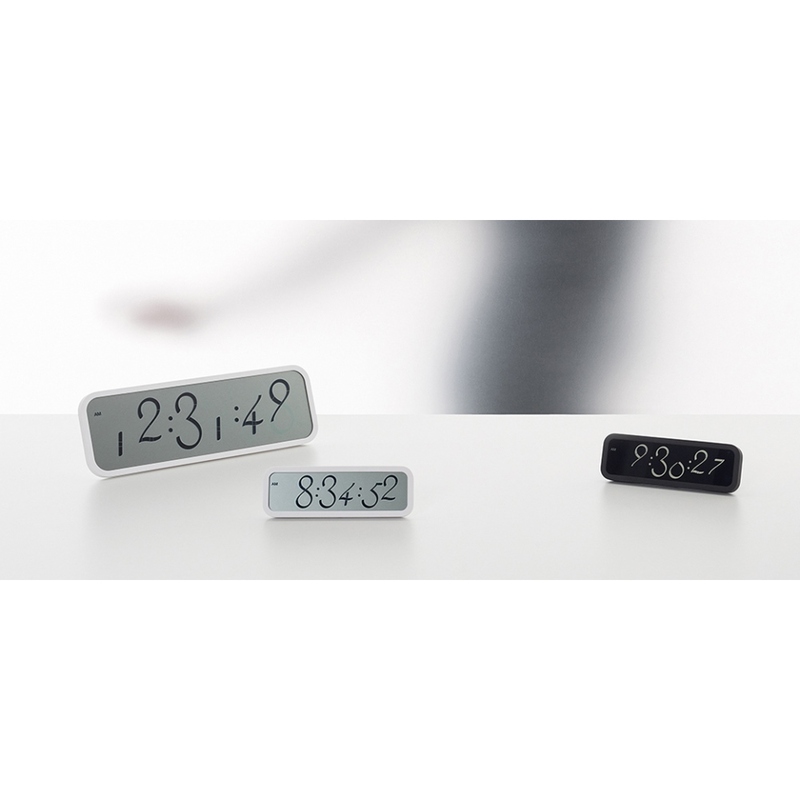 The Script clock takes the standard digital segmented display, used to all devices since the ‘70s, to a new level using the Script font. 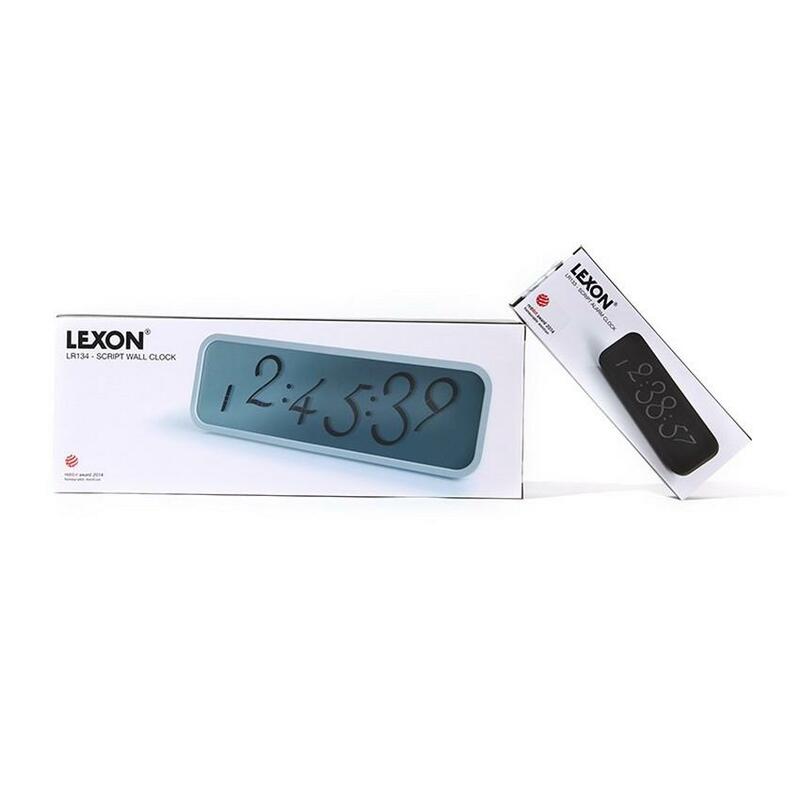 The Script alarm clock features an LCD screen to indicate the time and also a LED backlight (Electroluminous). The Script font used on the screen of the Script clock maintains the segmented look but re-arranges the segments to create an entirely new digital typeface, giving the numbers a flowing, more human quality. 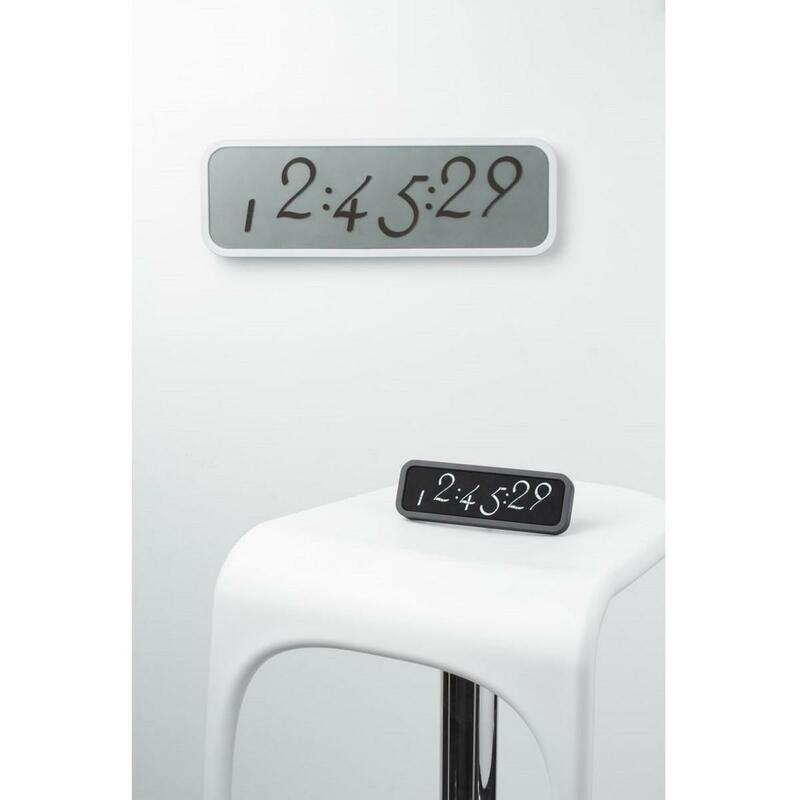 Script alarm clock & table clock features a large display framed by a simple case in white matt ABS with a soft pillowed reverse, creating a strikingly thin and elegant form. There are no other features or markings to detract from the Script font and the clock also displays seconds, allowing users to appreciate the graceful transition from one number to the next. Just like with analog clocks. The clock’s reverse has five flush buttons: clock set, alarm set, alarm on/off, snooze/light, up, down. 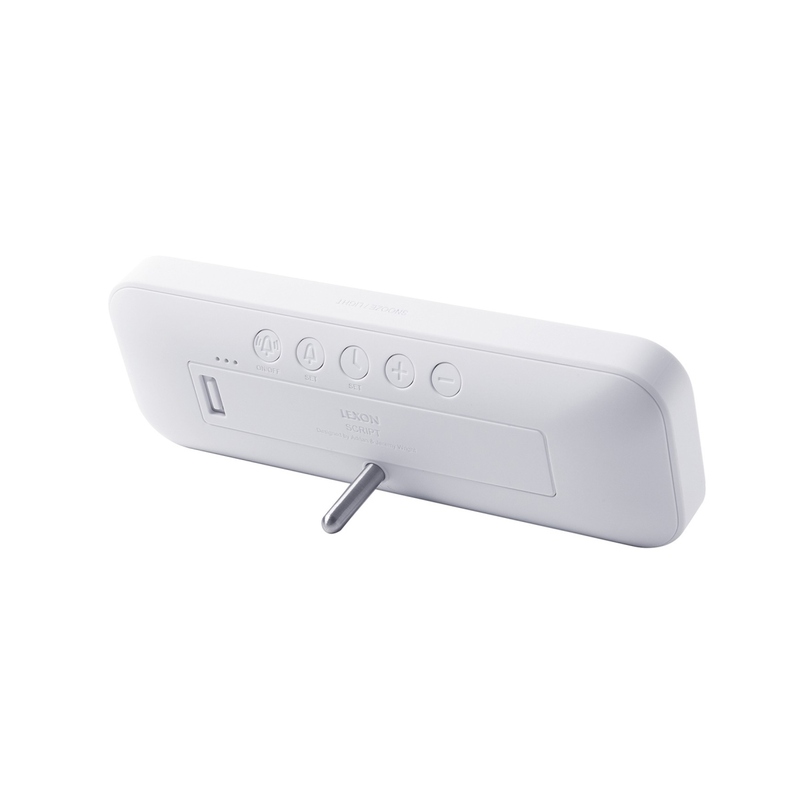 It can be placed on a table or desk using a removable stand stored in the battery (2xAAA included) compartment. It is also available in a larger version (without alarm) and a wrist watch version. 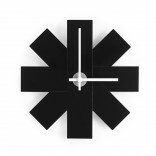 The Script alarm clock has been awarded the Red Dot Design Award Honorable Mention 2014. 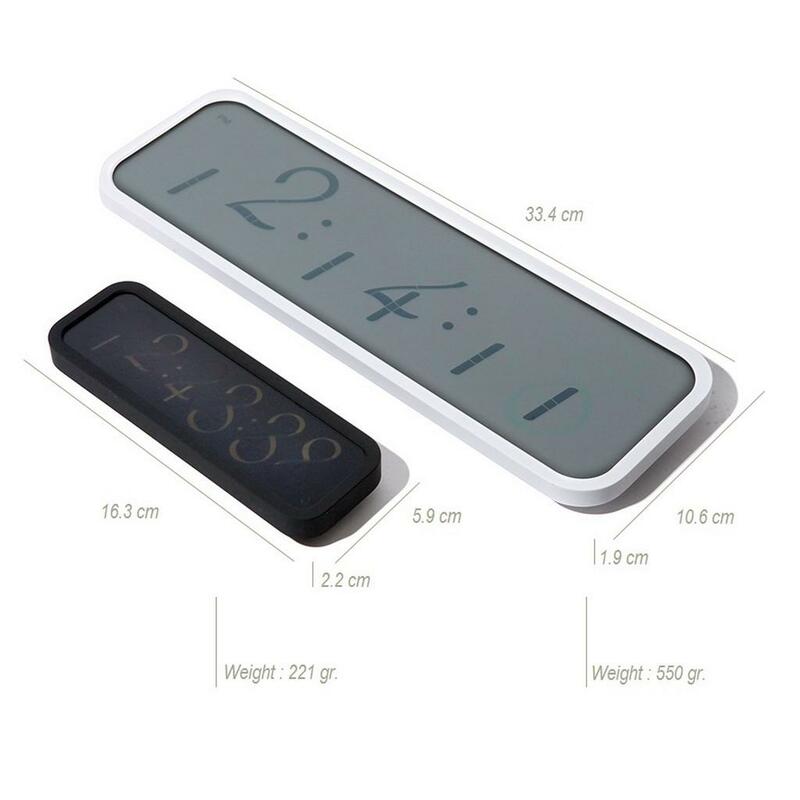 Alarm & Clock with LED backlight & LCD screen. 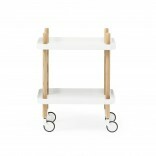 Size (cm): 16.3 x 5.9 x 2.2 cm. Powered by: Batteries: 2 x AAA (included). Red Dot Design Award Honorable Mention 2014.